April 28 – at 6:30 p.m. – at the Agoura Hills/Calabasas Community Center. Click on the above notice to enlarge. 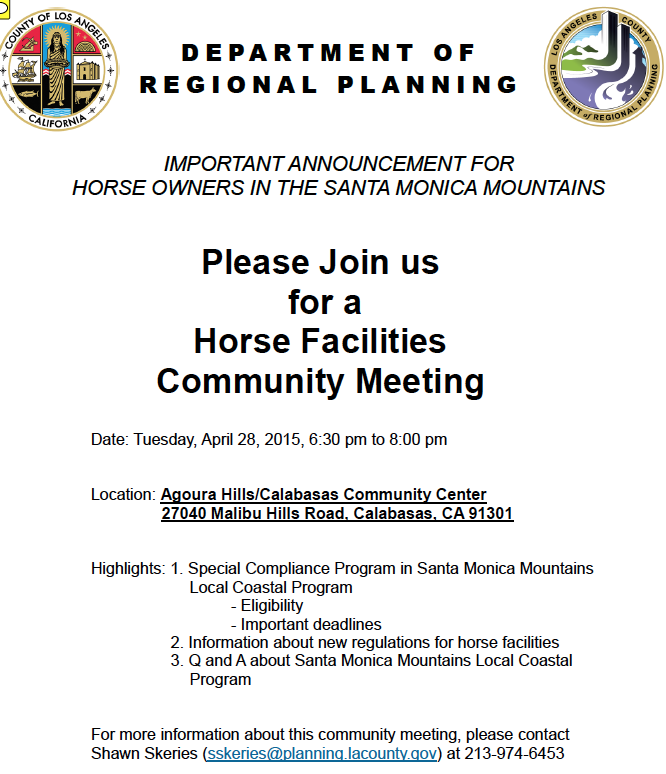 Los Angeles County is hosting an informational meeting re: our LCP and horse facilities on Tuesday, April 28 at the Agoura Hills/Calabasas Community Center at 27040 Malibu Hills Road. 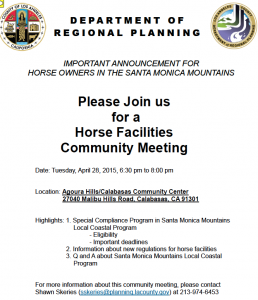 If you are a horse property owner and live in the new Santa Monica Mountains Local Coastal Program (LCP) area in unincorporated county – this is a MUST ATTEND meeting.